Viva Art Productions (Israel) Corporation established in Israel (2010) by Andre Gasiorowski and Marek Szpendowski, for the purpose of international films co-productions (USA, Israel, Europe, Asia, Russia). Viva Art Music In 1990 Andrzej Gasiorowski and Bogusław Bagsik become 50% owner of Viva-Art Music. Soon after its start, an office was opened in Poland with Marek Szpendowski as Managing Director. The two offices left the Group in 1993 to operate independently, whilst retaining the name. is very experienced in the market of international music, entertainment and events operating as tour producers, coordinators, and agents. The market focus of the company is producing tours and events in Eastern & Western Europe, as well as in Australia, the United States, Southeast Asia, the Middle East, and South Africa for mainstream and contemporary music arena tours, along with theatre and exhibition projects. Viva Art Music was founded in 1989 and was at that time a company within the Swedish based Viva Music Group owned by Marek Szpendowski and Lasse Olsson. Viva Art Music (Swedish Office) developed the Christian music business within Europe during the late eighties and early nineties and soon became a major outlet for American Christian Rock and Gospel artists. The company established and developed the music festival, the “Gospel Globe Festival” in Stockholm, capacity 13,000, and it ran this festival for six years. Viva Art Music also produced pan-European tours for artists such as Take 6, Andrae Crouch, DC Talk, Bebe & Cece Winans, Michael W Smith, Petra, Amy Grant, LCGC, and many others. Additionally, the company further began promoting shows in Eastern Europe, including Russia for artists such as Michael Jackson, the Rolling Stones and many more. Viva Art Music (Polish office) since 1992 become the leading European promoter working as the producer of big international events, each of them was broadcast live by minimum 40 TV stations. 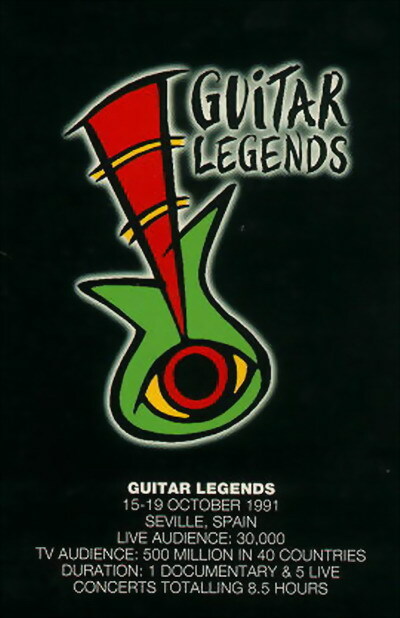 One of the global achievements, was organizing Guitar Legends Festival in Seville in Spain (15 – 19 Oct 1991) transmitted by 42 TV stations live to 500 mill TV audience, and producing Christian Artist Festival (Czestochowa / Poland) by 2nd visit of Pope John Paul II to Poland during the Global Youth Conference with 1,200,000 live audience. 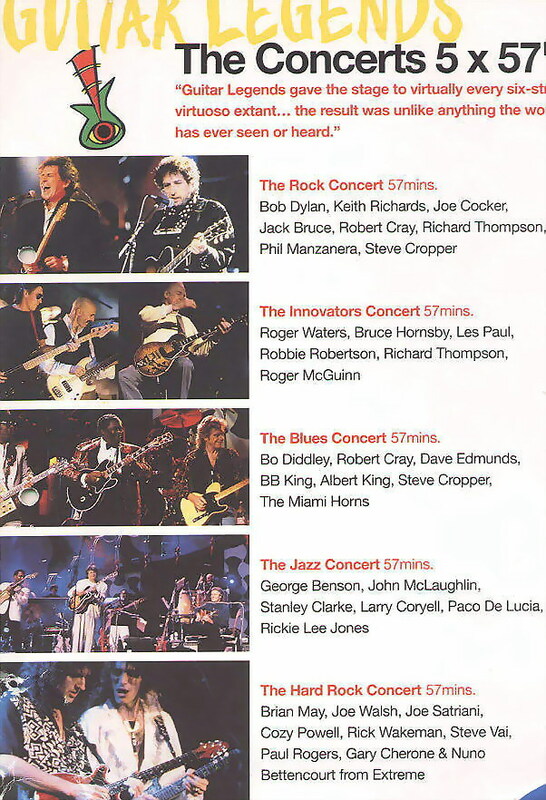 Viva Art Music was engaged in production and arrangement of productions and concert tours in Europe of great international artist, such as Michael Jackson, Elton John, Whitney Houston, Rolling Stones, Bob Dylan, Donna Summer, Roger Waters (Pink Floyd), Bryan Adams, Julio Iglesias, Joe Cocker, Jack Bruce, Robert Cray, Richard Thompson, Phil Manzanera, Steve Cropper, Bruce Hornsby, Les Paul, Robie Robertson, Roger Mc Guinn, Steve Vai, Joe Satriani, Brian May, Joe Walsh, Cozy Powell, Rick Wakeman, Paul Rogers, Nuno Bettencourt, Extreme, Gipsy Kings, Electric Light Orchestra, Art Garfunkel, Boyz II Men, Peter Andre; Luciano Pavarotti, Placido Domingo, Jose Carreras, Montserrat Caballe, Jose Feliciano; BeBe & CeCe Winans, Take 6, Petra, Michael W. Smith, and many others. 2001 Co-promotion of Jean Michael Jarre’s concert in Beijing, China.